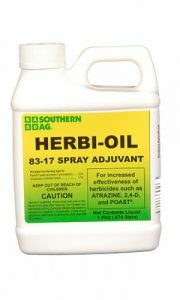 PRODUCT DESCRIPTION: Herbi-Oil is different from Spreader Sticker in that it will help herbicides penetrate instead of spread. This is important when treating if its cold or if you're targeting tough, well protected plants. Generally not to be used with pesticides like SPREADER STICKER, Herbi-Oil is mostly for herbicides.